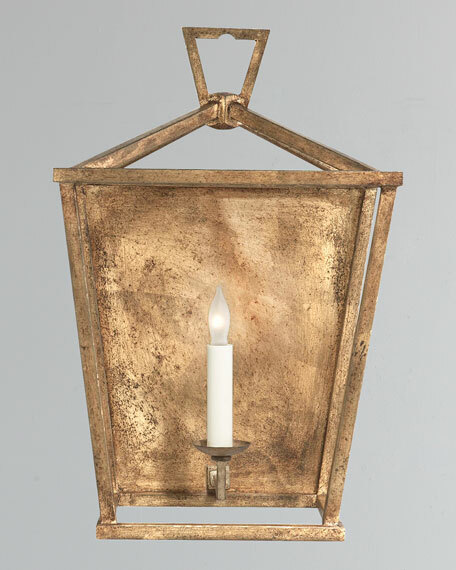 Handcrafted, hand-finished gilded iron wall lantern. Designed by Ef Chapman (Sandy) exclusively for Visual Comfort. 11"W x 8.5"D x 17"T.